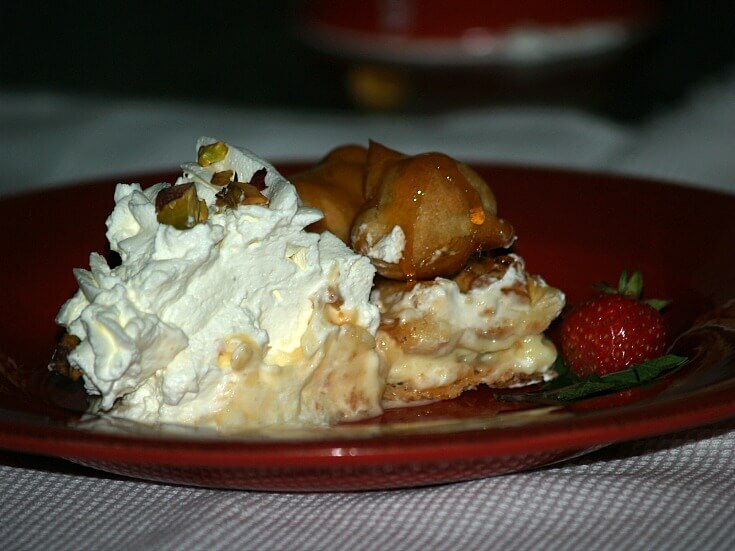 When I was learning how to make gateau recipes I began to realize how many different types of desserts we make. Even when we separate the desserts into separate categories like cakes and pies, we have many different types in each. Gateau recipes are usually referred to as cakes, pies or simply desserts. Although this name “gateau” is French, most European countries have their own version. This is why when learning how to make gateau recipes, sometimes you will find recipes listed as a cake or a torte. Originally, the French version was made with layers of light sponge cake. The cake usually contains three to seven thin layers filled between with flavorful custard or cream filling. NOTE: Most all gateau needs to be refrigeration. Learn how to make gateau recipes like this classic French recipe. Grease, line with parchment, grease again and lightly dust with flour two 8 inch cake pans. TO MAKE CAKE sift together flour, cocoa powder, cornstarch, baking powder and soda; set aside. Place eggs, egg yolk and sugar in large heat proof mixing bowl; whisk until well blended. Place bowl over a pan of simmering water; whisk briskly about 3 minutes until sugar dissolves. Remove bowl and beast with mixer on medium speed for 5 minutes until triples in volume. Sift a third of dry ingredients over egg mixture; fold in (DO NO OVERMIX). Fold in half of melted butter; fold in another third of flour mixture. Fold in remaining butter; fold in remaining flour mixture. Divide batter evenly between prepared pans; bake 25 to 30 minutes until pick comes out clean. Cool 10 minutes; remove from pans and cool completely top side up. TO MAKE SYRUP dissolve coffee in the boiling water; set aside. In small saucepan bring ½ cup water and sugar to a boil. Remove from heat and add coffee mixture stirring to blend; set aside. TO MAKE BUTTERCREAM place egg whites and sugar in heat proof mixing bowl. Whisk mixture until well blended about 1 minute. Place bowl over simmering water whisking until sugar is dissolved (About 5 minutes). Remove bowl from pan; beat on low speed of mixer until cool to touch (10 to 15 minutes). Add butter little pieces at a time. NOTE: Batter will look uneven. Return speed to low beating in the melted chocolate; remove from mixer and blend with spatula. If buttercream is soft refrigerate until spreading consistency. TO ASSEMBLE cut each cake horizontally into 2 equal layers. Place 1 layer on a serving plate cut side up; brush with some of the syrup. Spread with some buttercream; top with second layer and repeat process. Brush cut side of third layer with syrup; place cut side down of top of cake. Frost top and sides of cake with buttercream; if desired reserve some for decorating. Crumble remaining cake layer and place in food processor; pulse to crumbs. Press crumbs into sides of cake; serves 8 to 10. After I learned how to make gateau recipes, I found the recipe below. It is a basic sponge cake with options following to make various flavors. Also listed are some filling recipes. I often mix and match giving you a selection of choices. Whatever the mood! Lightly grease and flour BOTTOM ONLY of 10 inch spring form pan. Break eggs in a large heatproof bowl; add sugar to eggs. Set bowl over pan of hot water (simmering). Beat constantly with whisk until lemon colored and slightly thickened about 3 to 5 minutes. Sift together flour and baking powder two more times; set aside. Remove bowl from pan; sprinkle flour mixture over egg mixture and fold in. Fold in melted butter and lemon peel; pour batter into prepared pan smoothing top. Bake about 35 minutes until top springs back when lightly touched. Invert cake on rack to cool completely. Run sharp knife around edge of cake to loosen; remove sides and bottom of pan. NOTE: If baking sponge cake for a gateau, it is best to bake it a day ahead for easier horizontal slicing. Learn how to make gateau recipes with different flavor sponge cakes like these below. HOW TO MAKE NUT SPONGE CAKE? Use the above recipe. DECREASE the cake flour to 1 cup and ADD ¾ cup finely ground walnuts, hazelnuts, almonds or pecans. HOW TO MAKE CHOCOLATE CHIP SPONGE CAKE? Use above recipe, ADD 4 ounces coarsely chopped semisweet chocolate to the flour (stir in) before adding to the egg mixture. NOTE: Make sure cooked mixture is cool before you add the chocolate chips to prevent them from melting too much. HOW TO MAKE ORANGE SPONGE CAKE? Use above recipe. ADD grated orange peel from 2 oranges to egg mixture before adding melted butter. HOW TO MAKE CHOCOLATE SPONGE CAKE? Use above recipe; DECREASE melted butter to 3 tablespoons. ADD 5 ounces good quality (Melted and cooled) to egg mixture before flour. HOW TO MAKE VIENNESE SPONGE CAKE? Use above recipe and increase butter to 10 tablespoons (Melt and cool before adding). When learning how to make gateau recipes, slice cake into 2 layers. Choose one of the following recipes to prepare to finish your gateau. Learn how to make gateau recipes using French buttercream with all flavors of sponge cake. Break eggs in large heatproof mixing bowl. Beat on medium speed about 2 minutes until very foamy. Gradually add sugar while beating constantly. Place bowl over pan of hot water (Barely simmering). Beat mixture (hand mixer or briskly whisk) until thick and creamy about 5 minutes. Remove bowl from heat; continue beating until cool. Beat butter in separate bowl until creamy and very pale about 10 minutes. Hand whisk in vanilla; gradually add egg mixture whisking until buttercream is light and fluffy. Learn how to make gateau recipes. Use French buttercream recipe above and change to choice flavors. Melt 4 ounces semi sweet chocolate stirring until smooth; cool to lukewarm. 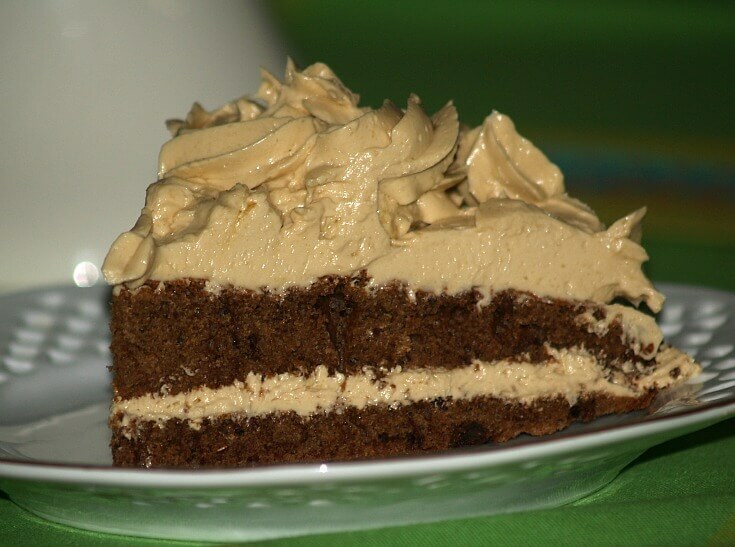 HOW TO MAKE COFFEE BUTTERCREAM? Dissolve 1 tablespoon instant coffee in 1 tablespoon hot dark rum; cool to room temp. Add a little at a time to buttercream beating after each addition. HOW TO MAKE NUTTY BUTTERCREAM? 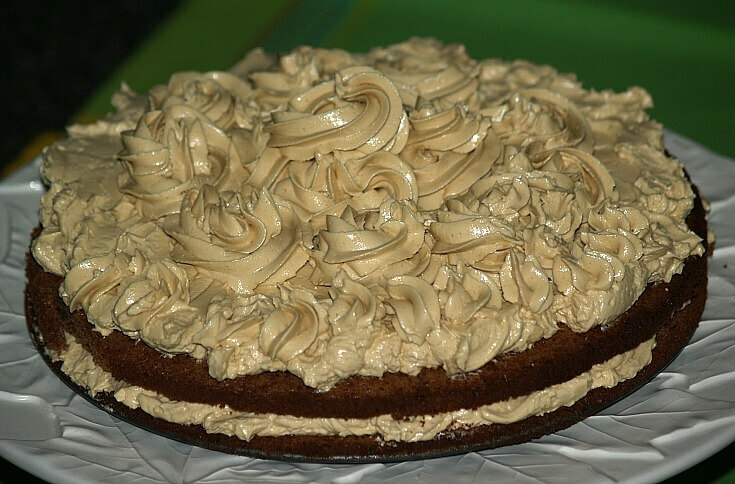 Gently fold ¾ cup ground nuts (walnuts, pecans, pistachios) plus 1 teaspoon rum extract into whipped buttercream. HOW TO MAKE RASPBERRY BUTTERCREAM? Blend 2 tablespoons raspberry liqueur with ¾ cup pureed and strained fresh raspberries. Add 1 tablespoon at a time to buttercream blending well after each addition. Learn how to make gateau recipes with red cherry filling. Place water in small saucepan, sprinkle gelatin on top and let stand 5 minutes. Cook over low heat until gelatin is dissolved; cool. Stir gelatin into HALF of cherry jam until blended. Fold gelatin mixture into HALF of whipped cream. Cut cake into 2 layers; spread bottom layer with cherry cream. Top with other layer; spread remaining whipped cream around sides. Stir rum into remaining jam; spread over top of cake. 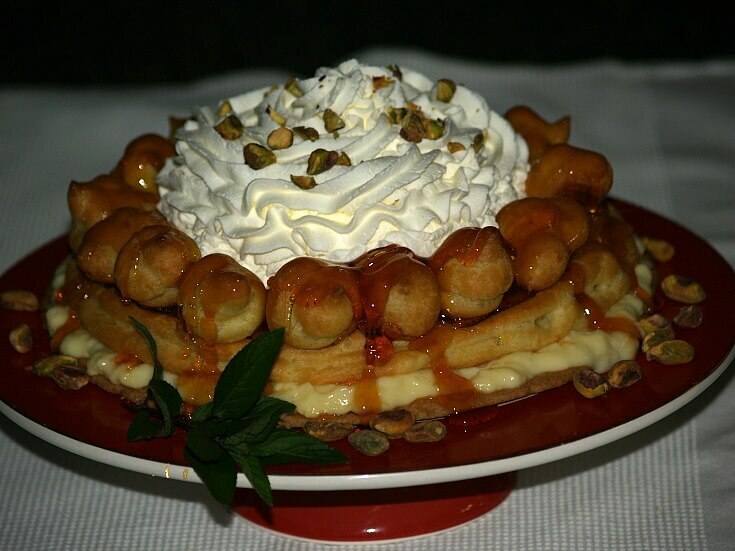 As you are learning how to make gateau recipes, no doubt you will come across a GATEAU SAINT HONORE recipe. 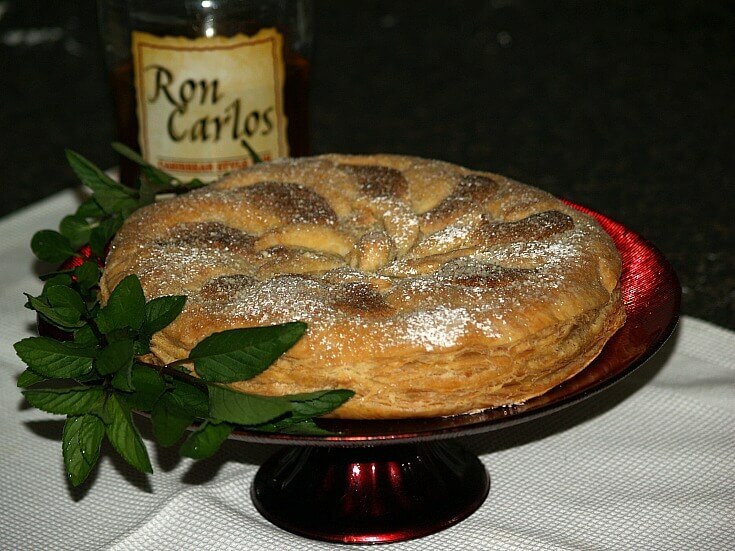 This famous torte was named after the French patron of bakers. Instead of the traditional sponge cake it is make with a cookie dough crust and choux pastry dough. 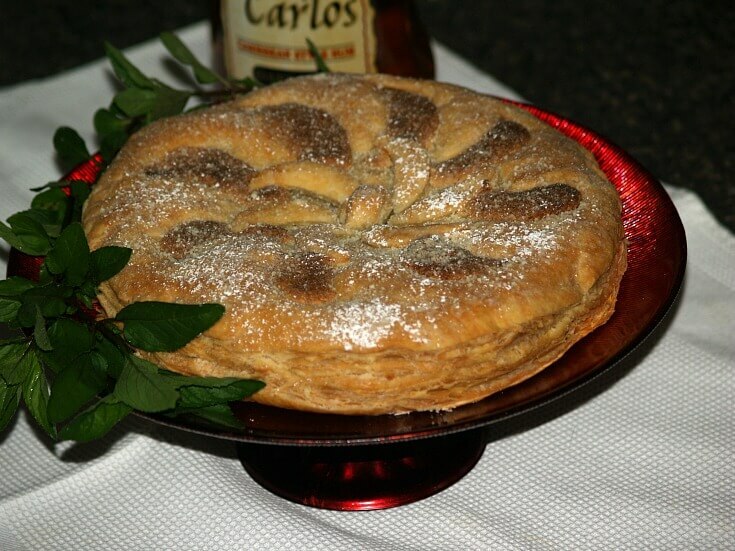 Another famous dessert is the GATEAU PITHIVIER recipe. Also French, this gateau is more like a pie and is mostly referred to as a “pie”. 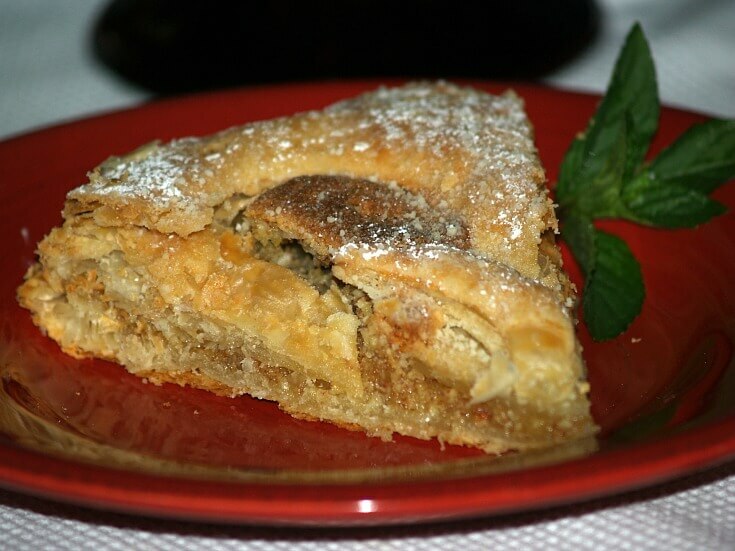 Unlike the others, it is made with a filling inserted between two rounds of puff pastry. TO MAKE PASTRY CREAM blend flour, cornstarch and sugar in a medium saucepan. Stir in milk until blended; stir constantly over low heat until thickened and smooth. Quickly stir about ¼ cup of the hot milk into beaten egg yolks; pour back into saucepan. Cook and stir constantly until thickened (DO NOT BOIL). Remove pan from heat and stir in vanilla; pour into bowl and cover top with wax paper. TO MAKE BASE combine flour and sugar; cut in butter until crumbly. Draw a 9 inch circle on parchment paper; lay ink side down on baking tray. Shape dough in a ball; press and roll into the circle on parchment paper. Bake about 20 minutes until golden; cool on wire rack. Draw 8 inch circle on parchment paper; place ink side down on baking tray. TO MAKE CHOUX PASTE combine water, sugar, salt and butter in medium saucepan; bring to boil. Add flour all at once stirring with wooden spoon until dough form a ball and it comes away from the sides. Remove from heat and stir in eggs one at a time beating well after each addition; beat until smooth. Spoon dough into pastry bag with plain tip; pipe12 to 14 small balls on baking sheet. 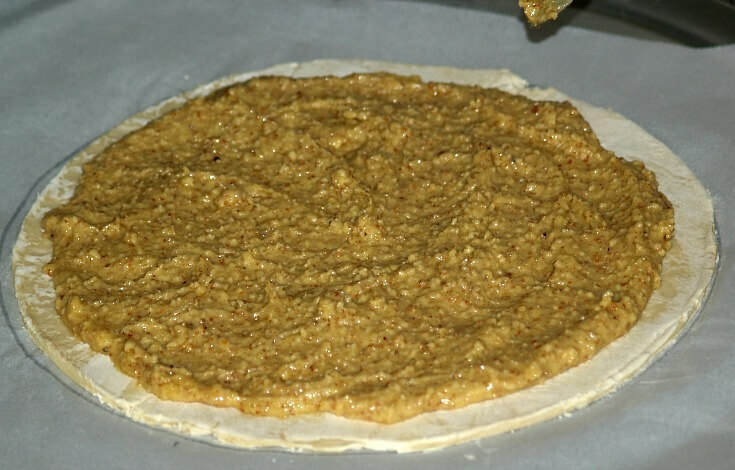 With remaining choux paste, pipe an ring inside circle on parchment paper. Bake 20 to 25 minutes until golden; cool on wire rack. TO MAKE CARAMEL SYRUP place sugar and water in small saucepan over medium heat. Stir until syrup turn golden; remove from heat. NOTE: It helps to place pan in another pan of hot water to prevent hardening. TO ASSEMBLE GATEAU place cookie base on cake plate. Spread cold PASTRY CREAM over the cookie base. Place CHOUX PASTRY RING evenly on top of the pastry cream. Spread some of the caramel sauce over the ring. Arrange the CHOUX PASTRY BALLS evenly on top of the pastry ring. Spoon remaining caramel syrup over the balls. NOTE: Refrigerate while mixing the whipped cream filling. TO MAKE WHIPPED CREAM FILLING whip cream until soft peaks form in medium bowl. Add in the powdered sugar and sherry beating until stiff peaks form; fill center of ring. Learn how to make gateau recipes like this one between two puff pastries. Beat sugar, almonds, butter, yolks and rum until well blended; set aside. 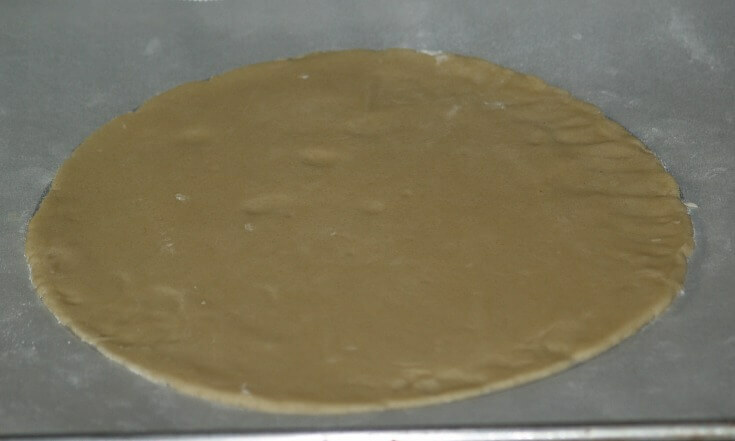 Flatten pastry dough on lightly floured surface; cut 2 circles (9 ½ inches). Place 1 circle on ungreased baking sheet. 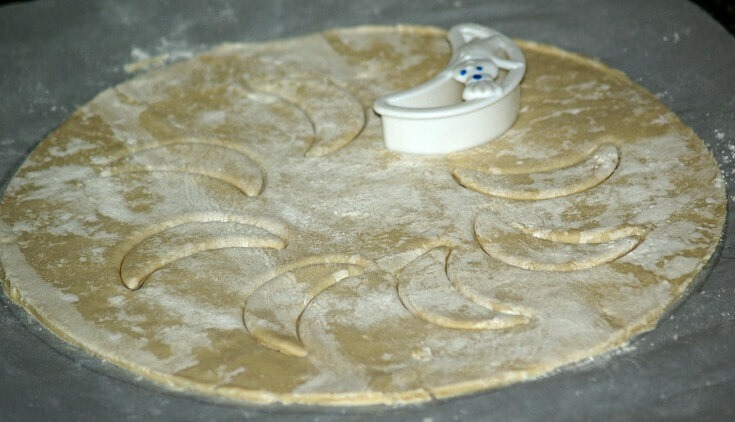 Spread filling over pastry circle to within ¾ inch of edge; brush pastry edge with water. Make 8 crescent shaped cuts in top of remaining pastry circle CUTTING to within 1 inch of pastry edge. 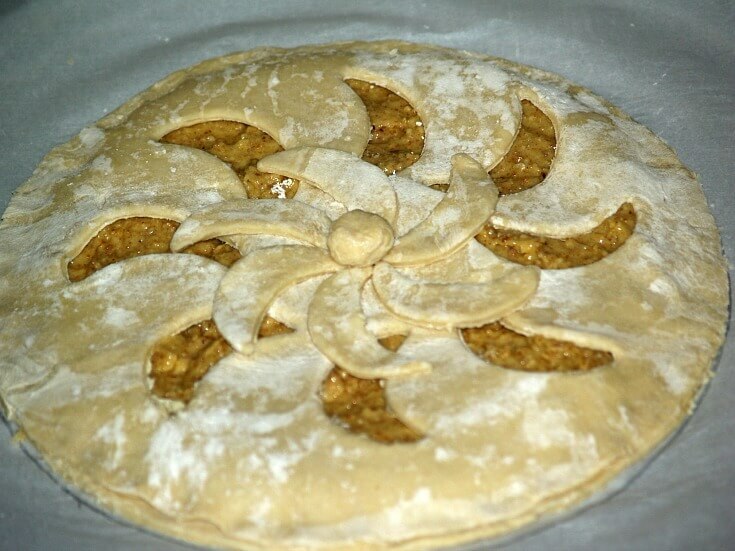 Place pastry over top of filling; lightly press edges together to seal; crimp and flute pastry edge. Bake 20 minutes; remove from oven and immediately dust top with powdered sugar. Bake 5 to 10 minutes until sugar is melted; cool on baking sheet 5 minutes. Carefully lift from baking sheet to wire rack; cool completely; serves 6 to 8.